Every brand has its own unique story so do Folklore. 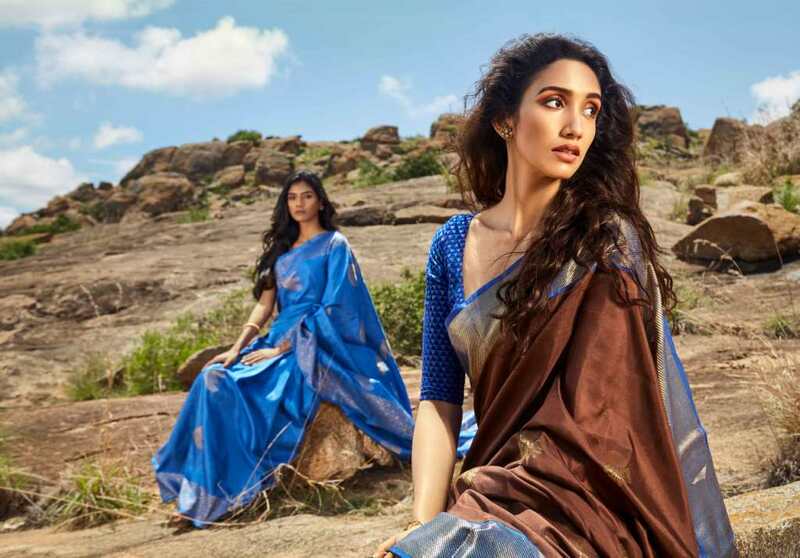 Folklore is a collection of breathtaking sarees that is inspired from rural Indian artworks and architecture. 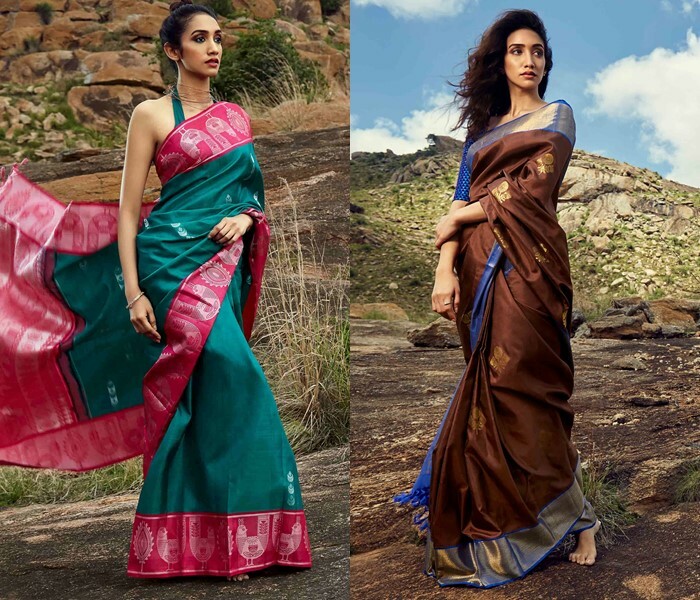 Designed by Sunita Yogesh, daughter of Ms.Jeyasree Ravi of Palam Silks, these sarees are crafted to bring back the glory of rural arts on 6 yards of drape. 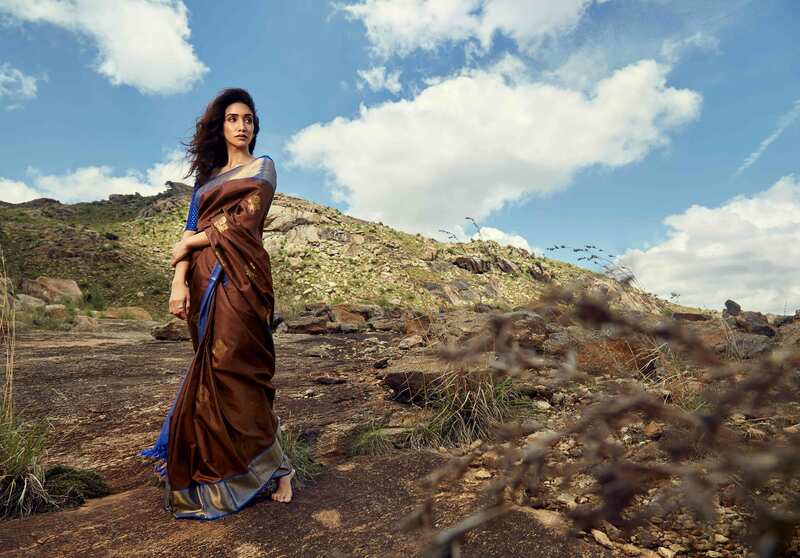 The range of sarees under this collection is unlike anything you have ever seen. 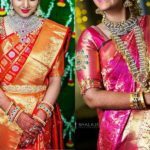 Their artistic sarees are just mind blowing and are truly unique. 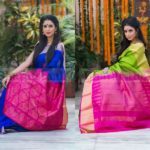 Each and every saree has its own elegance and grace with its exotic designs. 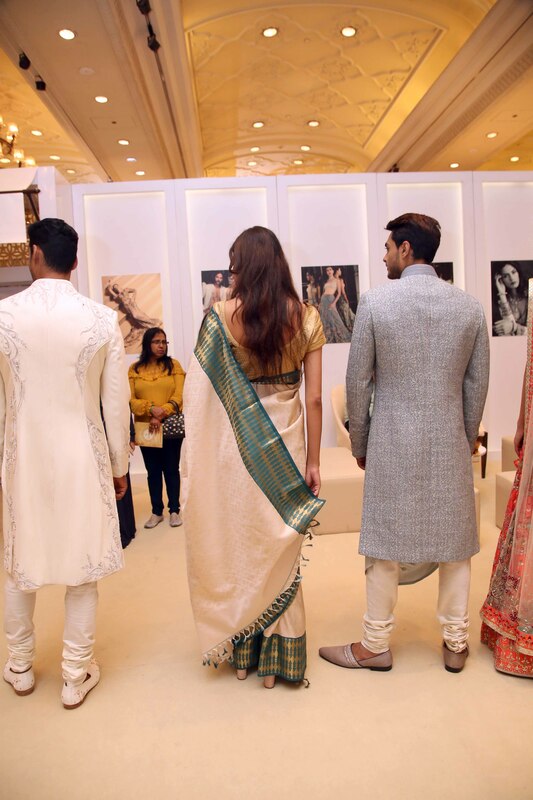 Each sarees is a master piece that breathes the various Indian long lost cultural aspects with such ease and grace. 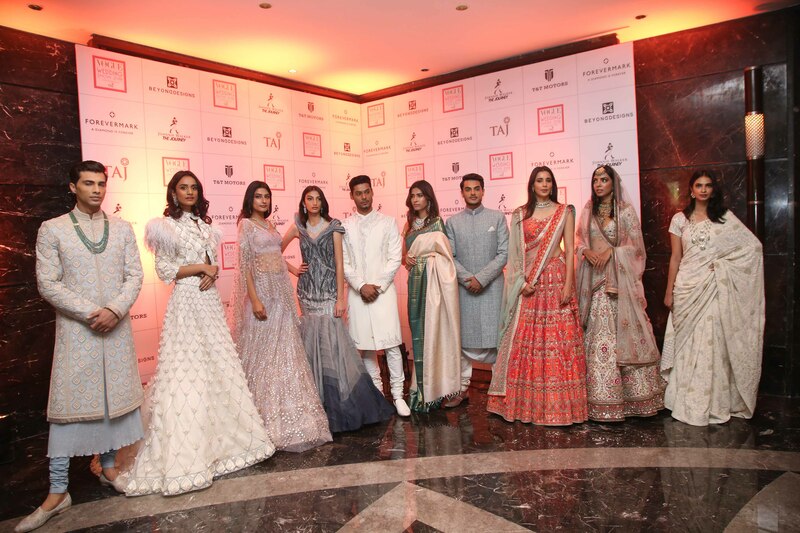 As this collection speaks more about Sunita’s interest than Palam, it is signed off as Folklore by Sunita Yogesh. 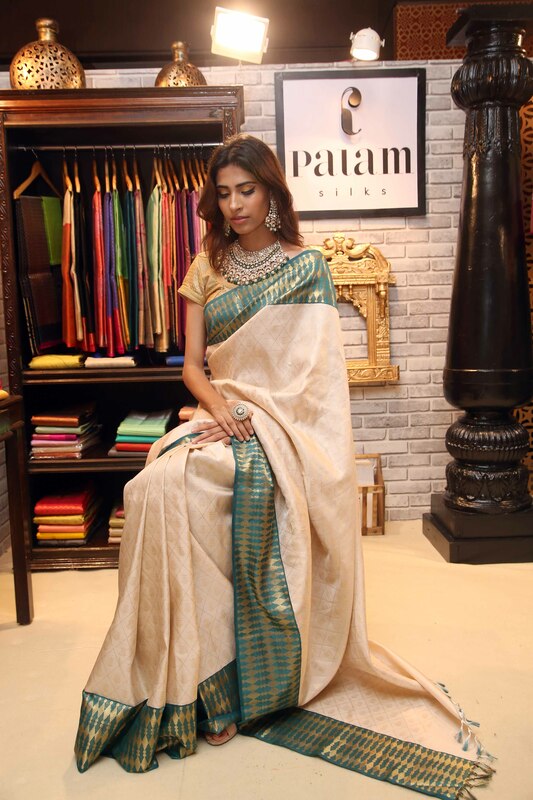 Palam is a brand whose roots are deep inside its countries own culture and inspires young talented designers to use kanjeevaram for their collections. 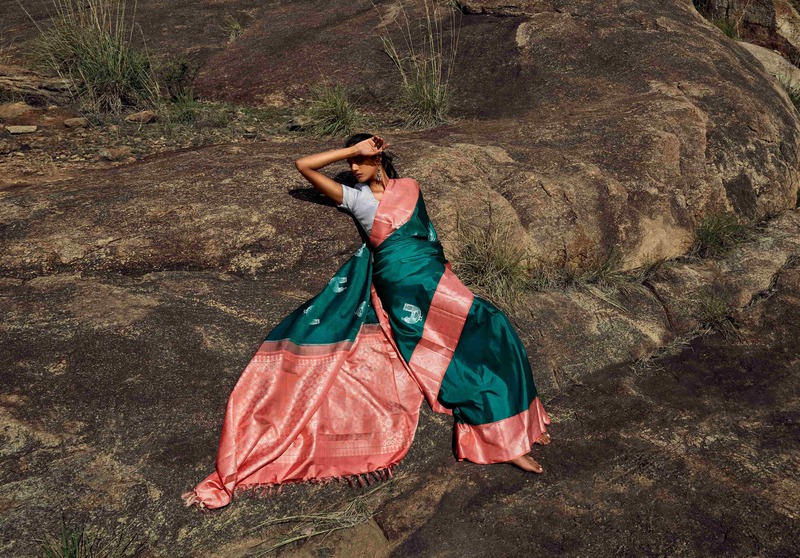 Palam wanted to create a design palate to the most traditional fabrics of south India which is inspired from rural creativity of all platforms, not just apparel. Sunita’s work exactly reflected this ideology. 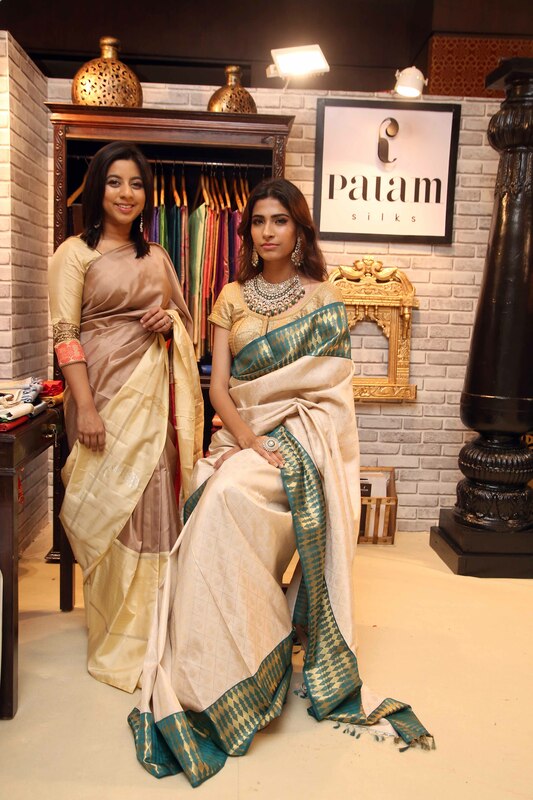 Palam has always been masterful in giving a launch pad to handloom weavers to showcase the designers. 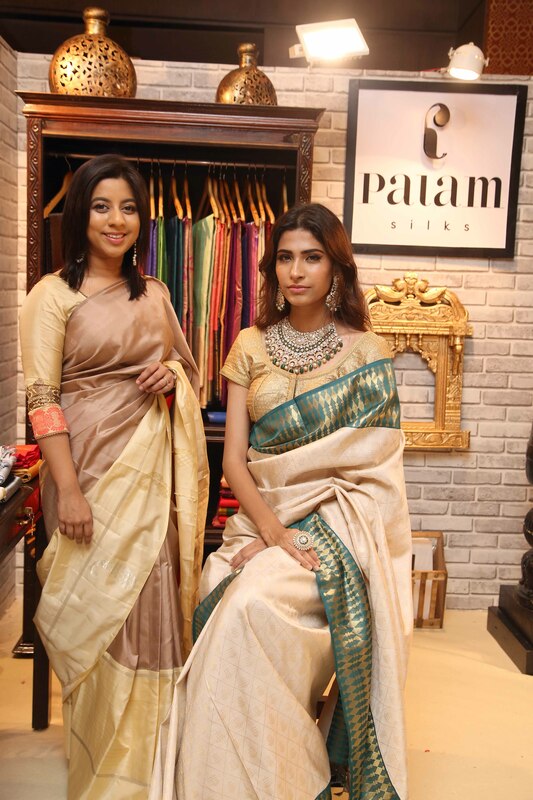 Now they have recognized Sunita’s effort (their in-house designer) who has been working under the shade of Palam for the past 5 years to explore her talent further. Sunita’s journey started from an exhibition hosted by her called “Squared” featuring Acrylic portraits with several textures which was held in Chennai and Bangalore. 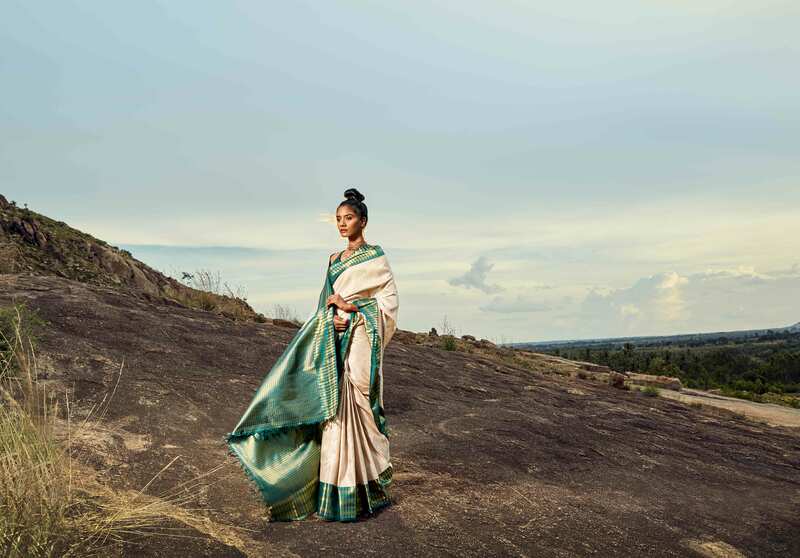 “Her portrait was unlike anything I had seen before and I instantly wanted to translate them on a kanjeevaram” says Jeyasree Ravi, Proprietor of Palam Silks. Her painting was later translated into a proper kanjeevaram. Everything including the textured aspects of the paintings was also translated as 10 different fabrics. 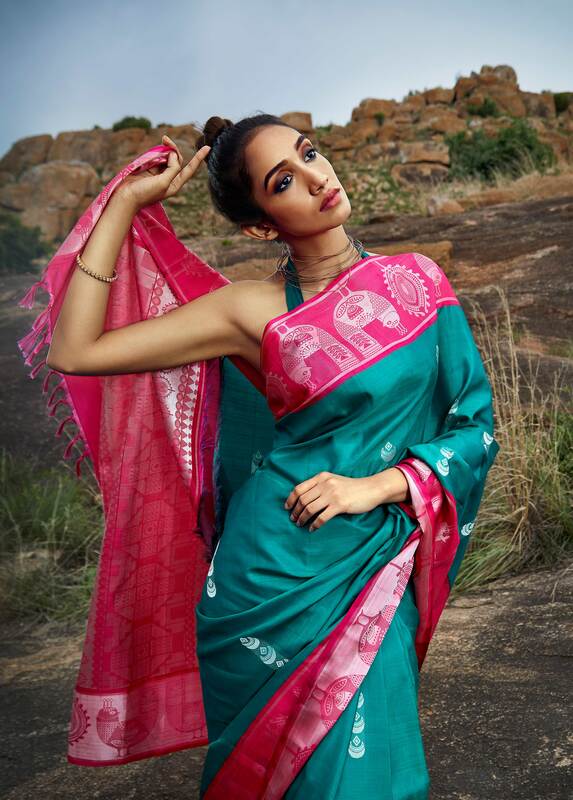 This unique and exotic creation was titled as “Blend n Trend silk”. This was her first experiment in the line of designing. She completed her B.com in Stella Maris. Her sincere passion towards numbers led her to pursue Chartered Accountancy and successfully completed the course in 2013. She has also completed a Business management course at IIM. Before diving head-long into the world of kanjeevarams, she pursued surface pattern designing course from Central Saint Martins in London and has also worked with artisans from Rajasthan on the traditional art of hand block prints. Having said that, she is a self-taught artist, designer, and an interior stylist. She has always been a dog and animal lover, but the interesting part is, she use to draw portraits of all of her friend’s dogs as a hobby and use to gift them the portraits. She had learned the art of block prints from the local artisans who had mastered this art when she visited Bagru in Jaipur. “This was a life changing experience for me. This is when I decided “handloom” is the field I would want my name etched in. The process of dyeing, designing and printing with my own hands added so some much of value and character to the product” says Sunita Yogesh. All of her life has revolved around Kanjeevaram. 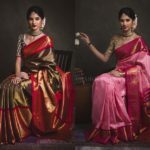 She considers her granddad and her mom, as pillars in carrying forward south Indian handloom, which has inspired designers and saree lovers all over India, to choose kanjeevaram over other fabrics!!! 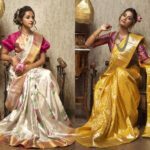 As stated earlier, Sunita wanted to create a design palate to the most traditional fabric of south Indian that is inspired from rural creativity. Train of thoughts that began with dissecting India’s creative genes spread from the fabric to architecture, and rural landscapes, began culminated into chalk art on the floors of rural homes. Indian art forms were grouped under several design decorates called “Kalamkari, Madhubani, Ikhat. But Sunita wanted to explore on the lost artworks – The sculpted and painted art of walls, floors, and domes. Indian architecture and its intricacy is something she has admired all her life. She visited architecturally sound cities throughout India and the mesmerisation seeped into her designs. Her designs are original; however they are inspired from Indian folk art that was seen everywhere – architecture and apparel. Hence she coined the name “Folklore”. This collection is a dedication to all Indian artisans who saw no boundaries in exploring unique designs. As of now, Sunita has worked 6 exclusive designs for this collection. . The most noteworthy aspect of all the designs is their modernity in spite of crafted with traditional designs and patterns. This collection, that sprang from knotting silk and motifs in silk thread work, was the foundation of these drapes. However, later as per the master weaver’s suggestions Sunita replaced silk threads with zari motifs thereby creating a glorious kanjeevaram sarees with zari dominance! 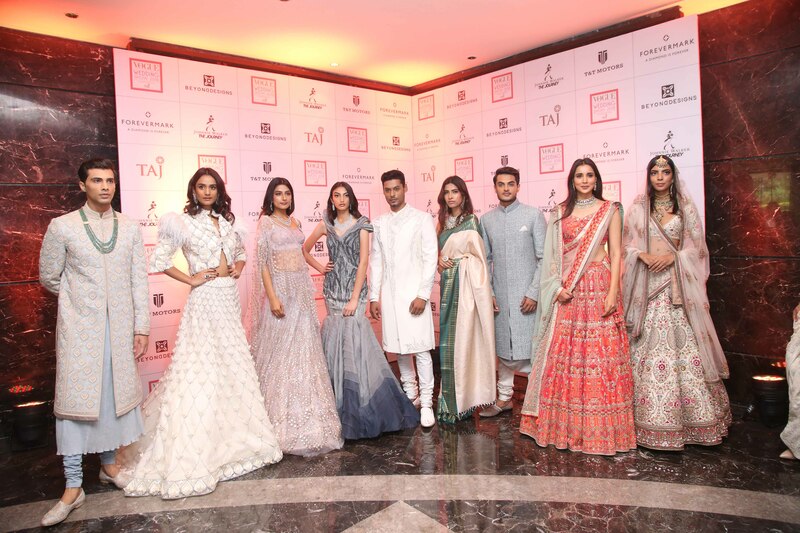 Recently vogue wedding show took place and many eminent Indian designers like Manish Malhotra, Sabyasachi, Tarun Tahiliani and Anita Dongre featured their creations there. Sunita Yogesh shared the space with them, representing kanchivarams from South India with her Folklore collections. 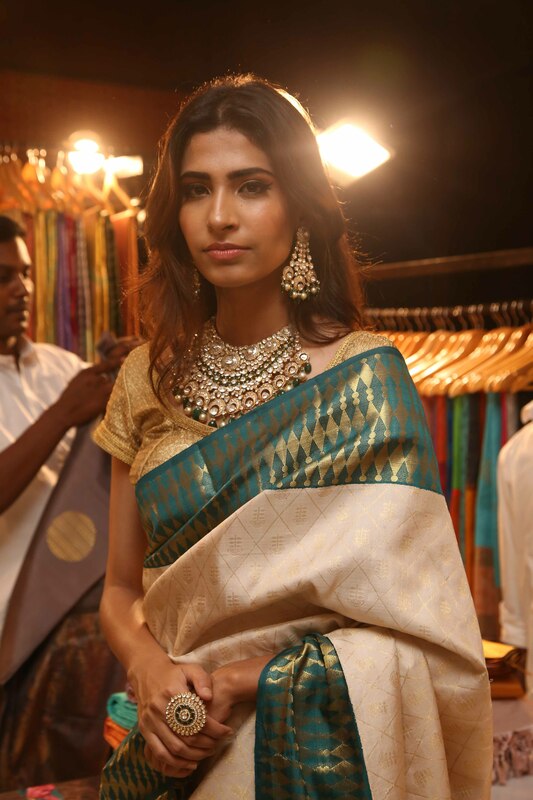 Needless to say, Sunita’s edgy saree creations just rocked the show. The Folkfore collections featured in the show are just what the next generation women would consider as cool and classy. The independent, confident and goal oriented modern women would consider these collections fit her attitude and style. 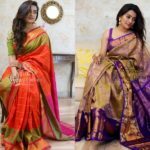 These exclusively designed kanjeevaram silk sarees that are glorified with Indian born artistic designs will inspire every millennial woman who wants to drape saree with grace! To find more details about this collections, please find the contact details below. 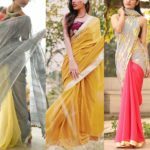 Previous article11 Simple Designer Saree Ideas for Dressed Down Look!